I’m a man of mountains and deserts, so photographing in a wetland area is something unusual for me. But last June I spent some days working in Ultima Frontiera private nature reserve, on the Danube delta, and I enjoyed to photographing it’s abundant wildlife. 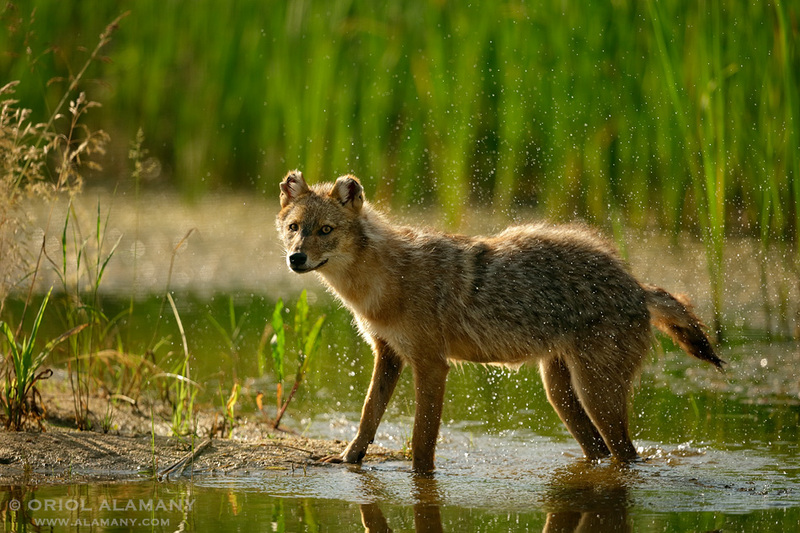 My favourite subjects there were the Golden Jackals. I captured this one splashing water from inside a hide where I was waiting with the aim to see a family with cubs.